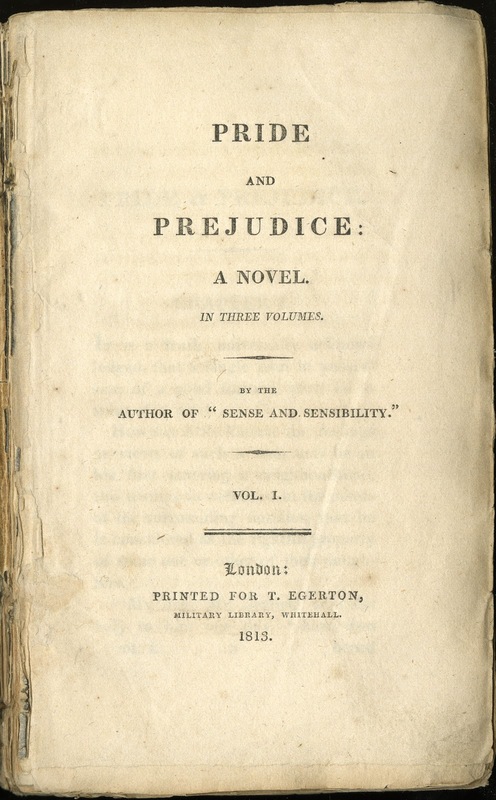 Today, in 1813, Thomas Egerton published a book by the Author of Sense and Sensibility. 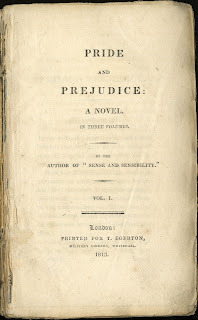 Pride and Prejudice by Jane Austen remains a classic 200 years later. Jane began the classic tale of Elizabeth and Mr. Darcy in 1796, finished it in 1797. At the time, the book was called First Impressions. It did not interest a publisher that Jane's father wrote to, so Jane put the manuscript away. She came back to it, revising it extensively in 1811 in 1812 before selling it to Egerton. Jane sold the copyright to Egerton, who of course, made a killing with this, the most famous of Jane Austen's novels.